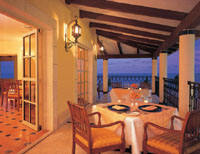 SECRETS MAROMA Unlimited-Luxury™. A new and better way to have it all. Perfectly placed on the Mexican Riviera, on one of the best beaches in the world, Secrets Maroma Beach is a striking adults-only resort dedicated to couples and singles. This romantic hideaway of classical Mediterranean architecture provides the majority of all guest rooms and suites with a fabulous view of the Caribbean Sea and sugary white sand beach. Secrets Maroma Beach Riviera Can cun offers adults an extra measure of romance and sensuality in an exquisite luxury setting. Immerse yourself in Unlimited-Luxury where everything is included: Elegantly appointed rooms and suites with 24-hour concierge and room service. 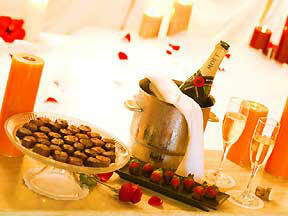 Multiple gourmet restaurants and lounges serving premium beverages. Endless day and evening activities, all in a spectacular setting. Pure white sands, crystal-clear waters and warm tropical breezes promise a perfect paradise at Secrets Maroma Beach. Situated on the coast of the Yucatan Peninsula, this Unlimited-Luxury haven is located on one of the most pristine beaches in Mexico. More than five hundred stunning acres of lush paradise await you at Secrets Maroma Beach, an all-suite resort boasting 412 suites surrounded by twelve smaller swimming pools and a shimmering infinity pool to cool off in while you admire spectacular ocean views. Six à la carte theme restaurants, and six fabulous bars ranging from elegant to swim-up will delight your senses and satisfy all your culinary desires. Amazing spa and spa garden, offering outdoor and indoor treatments, Jacuzzis, state-of-the-art fitness center and premium cocktails ensure that guests are pampered and indulged. There is enough entertainment, sightseeing, sports and recreational opportunities to fill every waking hour. The Spa at Secrets Maroma will many restorative treatments and hydrotherapies, including the one of a kind "Spa Garden" in lush gardens where whirlpools featuring cascading waterfalls invite guests to lounge in warm shallow water with penetrating jet sprays; a place to soothe the soul and feel renewed. 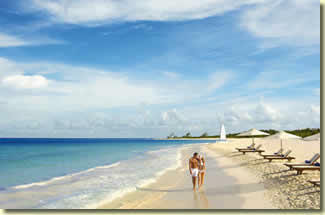 Civilization is far away from this secluded and private stretch of beach. Beautiful white sand, turquoise blue water, and a forest of palm trees that come right out onto the sand to cast a soothing shade from the sun make the beach at Secrets Maroma Beach truly refreshing and invigorating. Secrets Maroma Beach has a total of fourteen swimming pools, with an expanse of over 8000 sq. meters. You will enjoy privacy and variety throughout the resort. All rooms on the ground floor feature direct access to the pool. The swim-up pool bar provides immediate refreshments as you relax and enjoy the beautiful surroundings. Located near the night-lit tennis courts, this open-air theatre includes a grand stage for fabulous shows and events. The game lounge consists of pool tables, ping-pong tables, a selection of games and game tables for your entertainment pleasure. The on-premise, state-of-the-art fitness center provides a full range of activity and exercise equipment, including treadmills, lifecycles and step machines. Relax in the most affluent surroundings while taking in the most captivating views of the Caribbean. Close attention to detail, exquisite architecture and the finest comforts make Secrets Maroma Beach Riviera Cancun a truly remarkable hideaway. The Preferred Club offers a further enhanced level of service. All of our Preferred Suites offer impressive ocean front views, indoor and outdoor Jacuzzis. 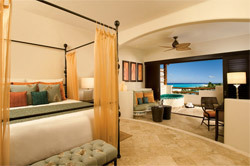 Preferred Club Junior Suite - Each suite has an ocean view, four-poster king or two queen beds, armoire complete with his and her closets, desk, sofa, full bathroom, private and furnished terrace with Jacuzzi. Preferred Club Master Suite - Each suite has an ocean view, four- poster king bed, armoire complete with his and her closets, living room, dining room, two sofas, table, refrigerator, microwave and a private and furnished terrace including a double size Jacuzzi, table and chairs, towel rack and telescope. 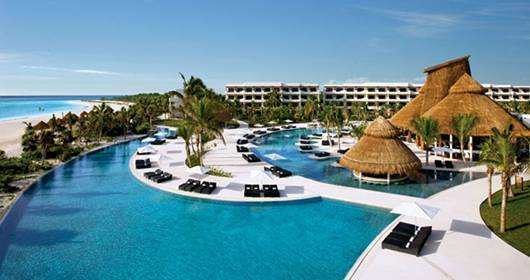 Secrets Maroma Beach Riviera Cancun stands well apart from all other resorts in its competitive set. No buffet lines, reservations or wristbands. Instead, we offer à la carte service of the finest gourmet food and premium beverages, a superior selection of amenities and a team of professionals who make your comfort their only concern. Secrets Maroma Beach boasts six bars and seven restaurants all with outdoor seating available. Secrets Maroma Beach Riviera Cancun offers a broad array of land and water ac tivities to satisfy the adventure seeker including kayaks, snorkeling, sailing, windsurfing, hobie cats, deep sea fishing, scuba diving with instruction, water aerobics, fitness, jogging, beach volleyball, tennis, and billiards. Guests will have the opportunity to dance the night away with a live All-American rock n’ roll band at our weekly Stargazing Rock n’ Roll beach parties. Mingle around the bonfire on the beach, meet new friends or lay back with an ice-cold beer and gaze at the stars through beachfront telescopes. Marina, Tennis / Golf Club. Features a par 36, 9 hole course designed by Thomas Leeman. Maximun length 3,236 yards. Also features a putting green. $45 US (unlimited holes) Rental clubs / carts are available. 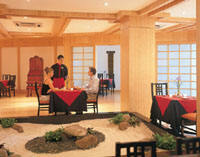 - Located on the Cancun to Chetumal highway at km. 90 Puerto Aventuras, Playa del Carmen, Q.ROO. Tel. : 52-(987) 3-5109. Eighteen hole, par 54 course, total length of 1,818 yards. Features a putting green. Located at the Melia Hotel at km. 16 in the Cancun Hotel Zone. Tel. : 52-(98)831-230. A nine-hole par 27 course with a maximun length of 888 yards and a putting green. Tel. : 52-85-0867 Cancun. This 18 hole, par 72 golf course is 6,767 yards long. Features a practice tee and putting green. $90 US - Twilite Rates - Retorno Lacandones km. 17, Tel. : 52-(98)818-000 Cancun. 18 hole, par 72 course. Cancun-Chetumal highway, km 350 Bacalar. For guests seeking a sanctuary for the senses, Secrets Spa by Pevonia at Secrets Maroma Beach Riviera Cancun stretches 13,000 sq. ft. offering a sublime atmosphere of pure indulgence that combines hydrotherapy and indigenous treatments creating a refreshing, invigorating and peaceful experience. Pamper yourself in our stunning spa garden surrounded by lush foliage and flourishing vegetation. Swiss showers, saunas, steam rooms, private showers and a relaxing indoor lounge area are here for you to enjoy. Massages, body treatments, facials, manicures, pedicures and a full service beauty salon are available for you. The spa also offers an array of rejuvenating facials, spa packages and pampering for your hands, feet and nails. Click here to download the Full Spa Menu. This beautiful sanctuary of revitalization features breathtaking ocean views and soothing treatments inspired by the natural blessings of the Yucatan Peninsula. Indulge in an irresistible treatment such as the Papaya Passion featuring a relaxing exfoliation with papaya seeds and oils in the Vichy shower, followed by a papaya body mask and finish with an unconventional dry massage with therapeutic seed bags. Relieve bad circulation and stress by pampering yourself to a soothing marine hydrotherapy, which promotes wellness and healing through the thermal qualities of salt water. Or reach a state of bliss with a Stress Cure Massage, involving a beautiful treatment made with cotton cloth bags containing an exotic mixture of herbs, seeds, and spices that lead you to a state of complete relaxation. Be sure to visit our trendy spa boutique for all the latest skin care products including Germaine de Capuccini, Pevonia, OPI and Davines. The boutique also carries an array of body scrubs, creams, contour products, aromatherapy oils and candles. Prestigious skin care lines like Germaine de Capuccini and Pevonia.